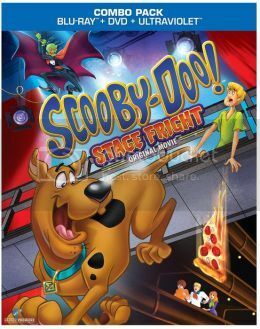 Some of my long time readers may have noticed that I absolutely love Scooby-Doo and I have reviewed a bunch of Scooby-Doo dvds in the past few years. When I received Scooby-Doo! Stage Fright (Blu-ray + DVD + UltraViolet) I was very very happy and couldn't wait to watch it. Anyways this movie is fantastic. The graphics are fantastic and voice acting are as well. This is one to get if you are a Scooby-Doo fan or if you have a family member who loves Scooby-Doo . I love the features. There are a few of the old original cartoons that I remember watching when I was a child.